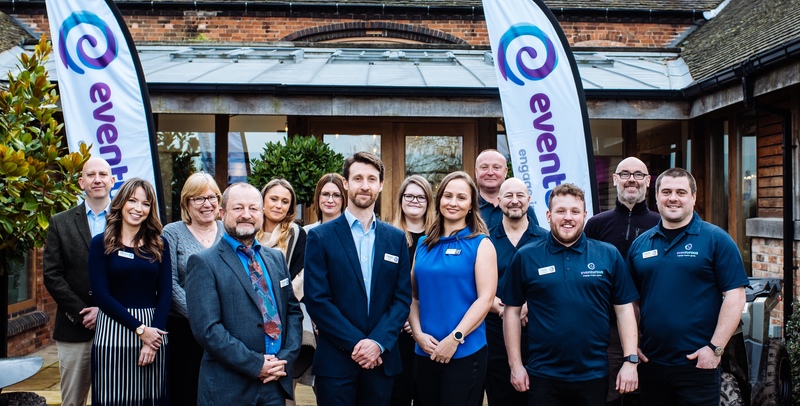 Leading corporate events company, Eventurous Ltd recognised 30 years of professional event management and team building events with an exciting rebrand and launch event held on 6th February 2019 at Mythe Barn, Leicestershire. Celebrating with Chamber of Commerce members and business professionals from across the Midlands, Eventurous released their bold new branding and fresh website; showcasing the dynamic vision and high-level expertise of their rapidly expanding corporate events company. The launch event, held at the stunning Mythe Barn adjacent to where Eventurous operation is located, featured an inspiring talk by Cherie Concannon of Concannon Connection. Her interactive discourse ‘The Untapped Potential of Events’ explored the psyche behind sub-conscious awareness and responses at meetings and events. All in attendance left with a deeper understanding of the best methods for holding memorable events and the secret to increasing engagement levels at any meeting size or conference. Anyone interested in the valuable insights presented by Cherie Concannon can access a breakdown of the discourse by completing the form on the contact page at www.eventurous.co.uk. Alongside warming apple drinks and delectable desserts, attendees also enjoyed a taste of the fun activities and games offered as conference energisers by Eventurous; providing a lively atmosphere and ensuring productive networking. The launch of the Eventurous rebrand paves the way for a bold new future for the organisation, including the release of innovative team building activities such as SpyFall, Reign of Thrones and a high-tech treasure hunt activity. In addition to new activities, Director Joe Garland also made the thrilling announcement that Eventurous will now be providing international events for clients. To benefit from the professional event services of Eventurous within the UK and abroad, visit their website at www.eventurous.co.uk.